Energias de Portugal, which ranks among Europe’s major electricity operators, and is one of Portugal’s largest business groups has completed a strategic investment in the Israel- and US-based cybersecurity company Sepio Systems. EDP is a vertically integrated utility company that has electricity, gas and renewable energy operations in 16 countries and EDP Renewables is the fourth wind power operator worldwide. EDP is expanding partnerships in Cyber Security to further strengthen connectivity and resilience that are vital to the infrastructure, and advance new business opportunities. Over the last couple of years, attacks on critical infrastructure have surged, and the potential repercussions are significant. 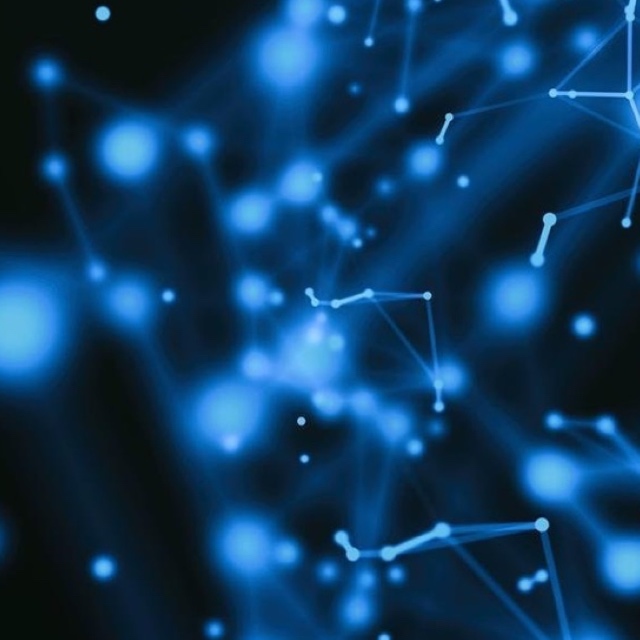 A loss of data is concerning, but a loss of electricity is catastrophic to both businesses and society. Also participating in the investment is Mindset Ventures, an international Venture Capital firm that supports the growth and development of innovative companies that provide solutions to the relevant markets in Latin America, and the existing investors – Pico Venture Partners and Founders Group. The partnership with EDP will help Sepio Systems accelerate the development and deployment of Sepio’s Rogue Device Mitigation solution among utilities, financial institutes, and large enterprises in Europe. Sepio Prime is the world’s first end-to-end solution that offers comprehensive mitigation of hardware-based attacks, including rogue peripherals, invisible network devices, and manipulated firmware. Sepio Prime has been successfully deployed in over 20 mid-sized to large banks, insurance, and telecom companies in the U.S., Singapore, Brazil, and Israel. The current install base secures over 600,000 workstations and network ports. This entry was posted in Tech and tagged 360, 360 Magazine, AI and ML, brazil, CEO of Sepio Systems, cybersecurity, digital, EDP Ventures, Electric Mobility, Energy Efficiency, Energy Storage, Iftah Bratspiess, Latin America, Mindset Ventures, Mr. Bratspiess, Predictive analytics, Renewable Power technology, Rogue Device Mitigation, São Paulo, Singapore, Smart Grids, tara mcdonogh, technology, U.S., Vaughn Lowery on March 5, 2019 by wp360mag. Multi-platinum, electronic dance music trio CHEAT CODES (comprised of Trevor Dahl, Matthew Russell and Kevi Ford) have teamed up with Afrojack for the huge new track, “Ferrari”, taken from their forthcoming EP, “Level 2”. 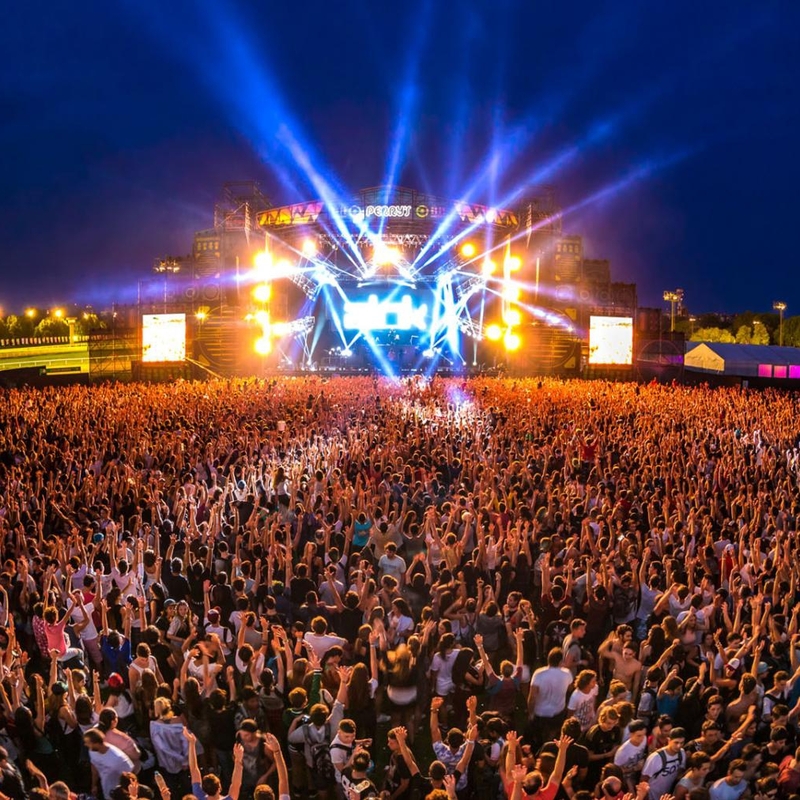 The bass-heavy track blends dance and hip hop sensibilities that break into an anthemic chorus, drenched with Cheat Codes signature electronic textures that have seen them become one of the fastest growing pop and dance acts, garnering over 2 billion streams. 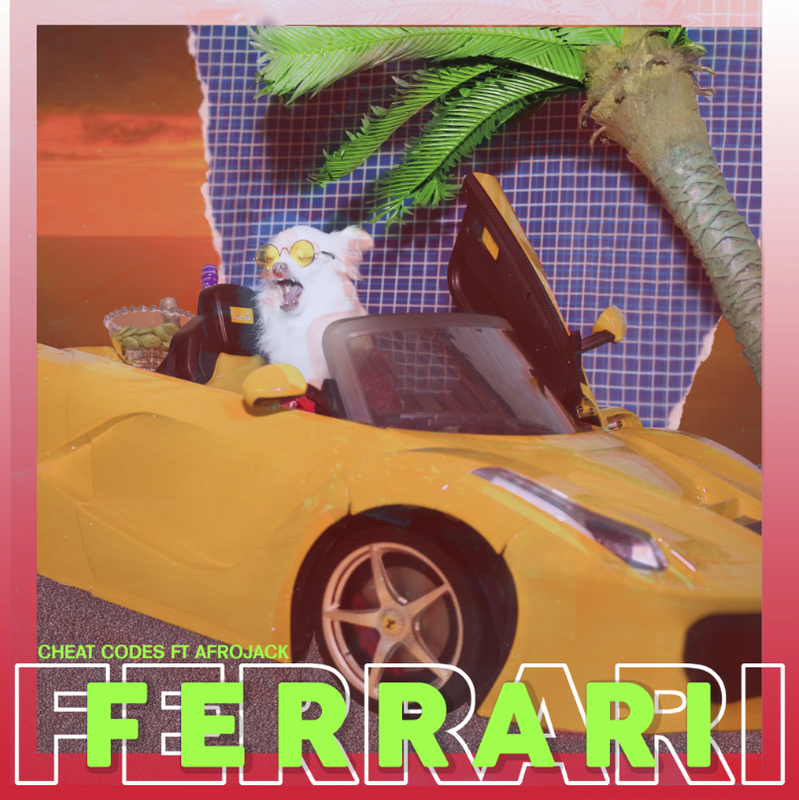 “Ferrari” follows, “Feeling of Falling,” their new single and collaboration with pop sensation KIM PETRAS. 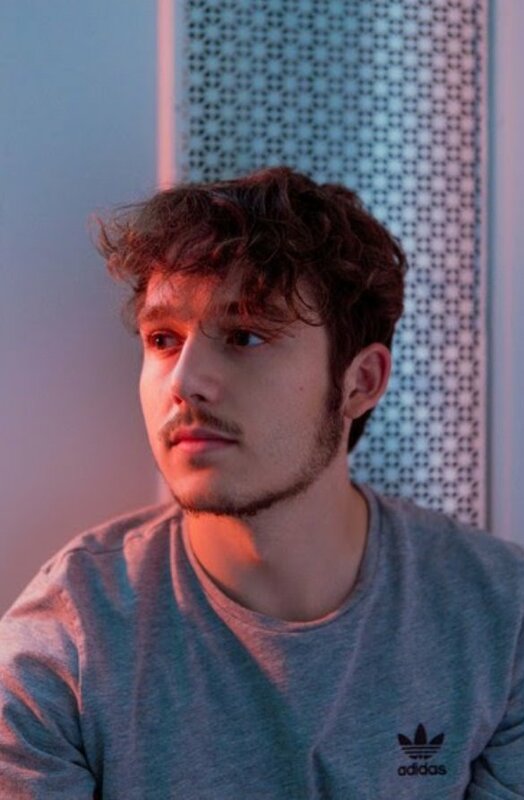 The euphoric anthem pairs Cheat Codes’ signature sugary electronic hooks with Kim’s mesmerizing vocals. 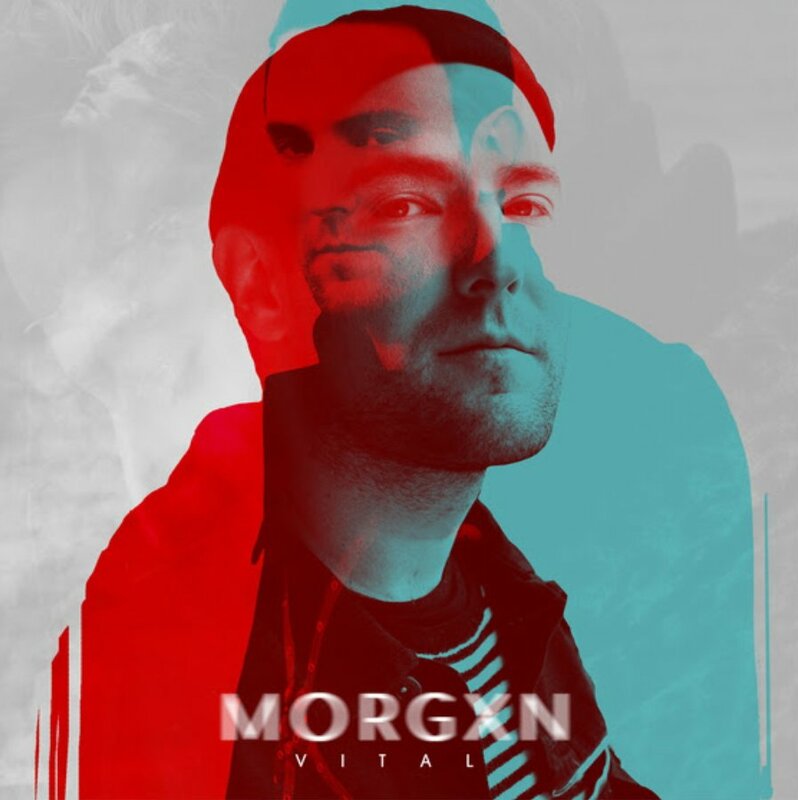 The group released a remix bundle of the track, featuring re-works from the likes of Daniel Blume, Danny Quest, Justin Caruso, and Angemi, as well as Steve Aoki – which is available now. Cheat Codes, who are touring with Steve Aoki throughout the UK this February, recently remixed Aoki’s collaboration with BTS, “Waste It On Me”. • Over 2 billion streaming consumption of repertoire. • “Feels Great” ft. Fetty Wap & CVBZ is recently RIAA Gold Certified in the US. • Remix of Maggie Lindemann’s “Pretty Girl” is approaching 5 million units globally. • 300 debut single, “No Promises” ft Demi Lovato is Platinum in over 15 countries with over 4 million global equivalents to date. • “No Promises” peaked Top 5 at Pop radio with 80MM in audience reach. This entry was posted in Feature and tagged 300 entertainment, 360, 360 Magazine, Afrojack, Angemi, Australia, Belgium, billboard, brazil, Canada, Cheat Codes, Colombia, CVBZ, Daniel Blume, Danny Quest, Demi Lovato, Denmark, electronic dance, Feeling of Falling, Feels Great, Ferrari, fetty wap, Finland, France, Germany, Global Society, Hannah Audrey Lowe, Ireland, Italy, Jimmy Kimmel Live!, Justin Caruso, Kim Petras, Little Mix, Maggie Lindemann, Matt, Mexico, Netherlands, New Zealand, No Promises, Norway, Only You, Peyton List, Poland, Portugal, pretty girl, RIAA Gold Certified, Rolling Stone, Sharon Victory, south africa, spain, Steve Aoki, Sweden, Switzerland, Time, UK, us, Vaughn Lowery, Waste It On Me on February 12, 2019 by wp360mag. Pop fans can start celebrating. Rock In Rio, the world’s biggest music and entertainment festival, has just announced the line-up in the night dedicated to this genre. On October 5, 2019, the Rock City will welcome pop superstar P!nk, who debuts as headliner and ends the night performing her biggest hits. On the same day, super group Black Eyed Peas – a debuting in the event – takes to the stage with a catalog of hymns such as “Where Is The Love?”, “I Gotta Feeling”, and “Lets Get It Started”. Brazilian singer Anitta, the first confirmed attraction of Rock in Rio 2019, opens the night. A fourth attraction, to complete the line-up, will still be announced. 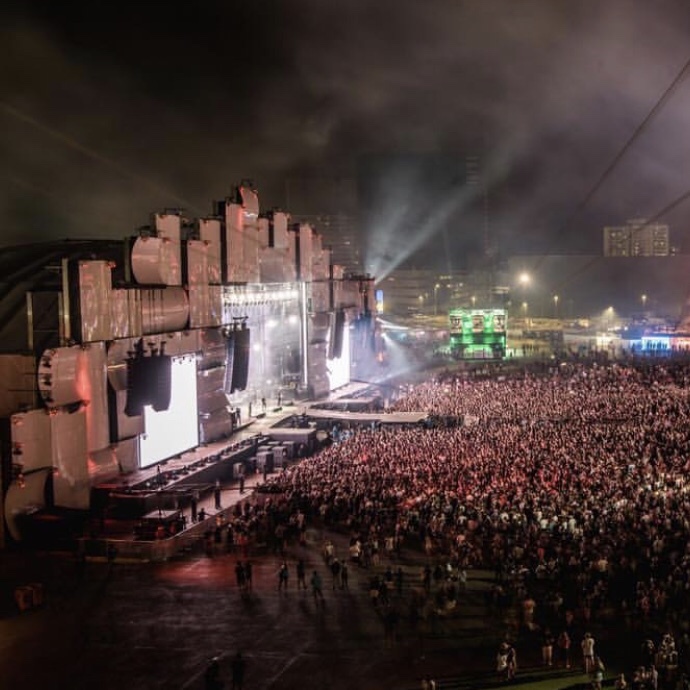 Rock in Rio 2019 will take place on September 27, 28 and 29, October 3, 4, 5 and 6, at the Rock City, which will occupy the Rio de Janeiro Olympic Park for the second consecutive edition. Rock in Rio Cards (a ticket that entitles you to go to the festival before all attractions are announced) will go on sale on November 12 this year, starting at 7:00 pm, at www.rockinrio.com. Created in 1985, the festival has had 19 editions, 112 days and 2,038 musical attractions. Over 33 years of history, it has had an audience of more than 9.5 million people. Born in Rio de Janeiro, Rock in Rio also conquered Portugal, Spain and the United States. P!nk – The first time of the superstar in Brazil. The critically acclaimed “Beautiful Trauma World Tour” kicked off in Phoenix, USA, last March, and has touched audiences across America, Australia and New Zealand. With a career of more than 20 years, P!nk has seven studio albums, a collection of top hits, and sold 50 million copies, more than 75 million singles, 2.4 million DVDs worldwide, and had 15 singles on Billboard Hot 100 list’s top 10 (four #1). Plus, among other awards, she won three Grammy Awards (19 nominations). Black Eyed Peas – In addition to classic hits, the band will be releasing “Ring The Alarm Pt 1, Pt 2 and Pt 3″” and “Big Love”, from the group’s seventh studio album entitled ‘Masters of The Sun”, which is being launched. Formed by will.i.am, apl.de.ap and Taboo, the Black Eyed Peas is a multi-platinum band with more than 35 million albums sold worldwide, leading the world charts. The artists have won six Grammys and eight American Music Awards throughout their careers. Anitta – After performing at Rock in Rio Lisboa, the Brazilian singer prepares to land in the Brazilian Rock City for the first time. The artist was elected the 15th most influential artist in the world on social networks (leaving names like Lady Gaga, Shakira and Rihanna behind) by US magazine Billboard. Anitta stood out with several singles like “Sim ou Não”, a duet with Maluma; “Loka”, by Simone & Simaria; and “Sua Cara”, with Major Lazer and Pabllo Vittar. The latter broke world records as the most viewed video in 24 hours in 2017, and the fastest in history to reach a million likes. This entry was posted in Uncategorized and tagged 360 Magazine, Anitta, brazil, festival, I gotta feeling, lit, music, musical attraction, Olympic park, P!nk, party, Pink, rio 2019, rio de Janeiro, Rock In Rio, singers, travel, Vaughn Lowery, where is the love, will.i.am on October 22, 2018 by wp360mag. Cariocas and tourists who use the Rio de Janeiro transportation systems daily are now able to enjoy cultural performances at the stations and inside the trains, subways and ferry boats. The performances, that help people kill time during the trips, are now approved. That is determined by an act approved by the state legislators, sanctioned by state governor Luiz Fernando Pezão and published in the Official Gazette on September 26th. In the coming days, the Department of Transportation, which regulates the concession holders that control the transport modals, will announce the regulation of the act. The time approved for the performances will be from 6am to 11pm on weekdays and from 7am to 11pm on Saturdays, Sundays and holidays. The act states that the performer cannot charge the users of the public transports, who may spontaneously donate during the performances. Based on the wording, it will be up to the concession holders that provide these services to create a registry of interested persons to perform. However, the only purpose of this registry is to organize the time for the performances, though they are not allowed to prevent unregistered people from performing. Currently, the subway concession holder is the only one keeping a cultural program in their stations, although they do not allow performances inside the wagons. 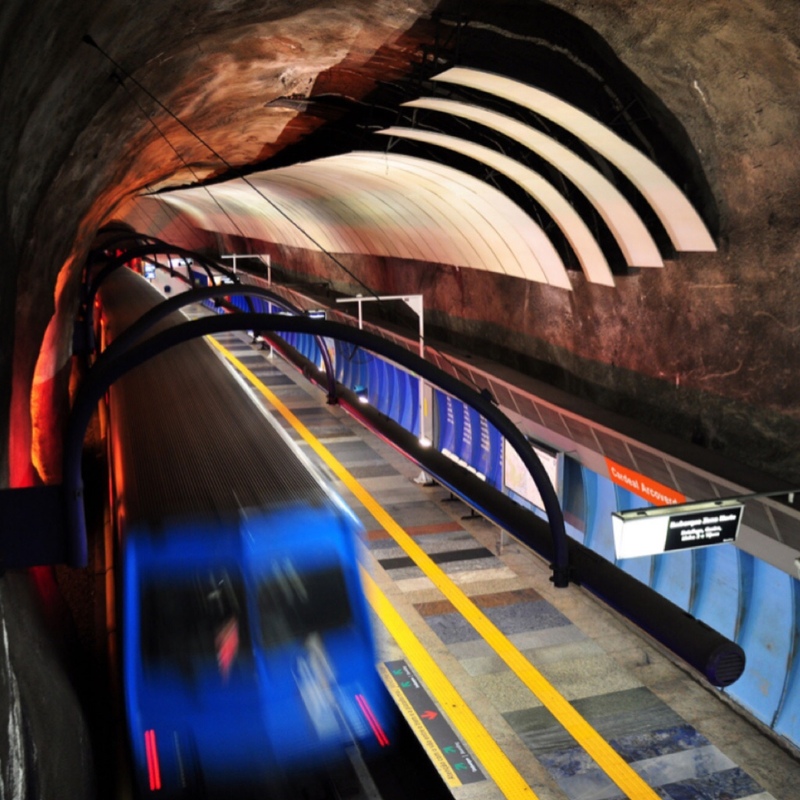 According to MetrôRio, the Palco Carioca project allocates spaces in three stations – Carioca, Siqueira Campos and Maria da Graça – for musical performances on weekdays, from noon to 8pm. Registration to participate in the project is free and may be made online at www.metrorio.com.br/Cultura/PalcoCarioca. This entry was posted in Travel + Food and tagged 360 Magazine, artistry, brazil, Bus, Carioca, cultural, culture, Diana Macaraeg, Luiz Fernando Pezão, Maria da Graça, performances, rio de Janeiro, Siqueira Campos, subway, tourism, train, Vaughn Lowery on October 4, 2018 by wp360mag. CBD: An Alternative to Prescription Drugs? In the modern world, our first approach to treating an illness is to find the most suitable pharmaceutical drug, which we typically get either over-the-counter or on prescription. However, while these medicines are normally effective, they can unlock a whole new box of issues, including dependency and side effects. Becoming reliant on medication can be mentally unsettling, and nasty side effects like nausea and dizziness typically require further treatment, leaving patients on a cocktail of pharmaceutical-grade drugs before they know it. In the case of opioid painkillers, dependency may even be life-threatening, with the risk of overdose frighteningly high. In 2016, abuse of prescription opioid painkillers and recreational opiates accounted for more than 40,000 US lives, according to the Centers for Disease Control and Prevention (CDC). This cycle of illness, drugs, side effects and more drugs is wearing thin with many, and combined with the new wave of medical cannabis science, a clear divide has formed between those who favor prescription drugs, and those who’d rather take natural, plant-based medicines. From a historical perspective, medicinal cannabis use makes perfect sense, with the herb being used for millennia across the world, but particularly in Africa and Asia. Technological advancements have greatly developed our knowledge of cannabis, and scientists now know which compounds are responsible for various effects. For example, the psychoactive “high” mostly comes from a therapeutic cannabinoid called tetrahydrocannabinol (THC). However, numerous other cannabinoids have medicinal properties, sans the hallucinogenic effects. Cannabidiol (CBD) is the most studied and seemingly most useful non-intoxicating cannabinoid, and the market for CBD products has exploded in the 2010s, thanks in part to the relaxation of laws surrounding non-psychoactive hemp. Opioid-based painkillers like Tramadol are now regularly prescribed for chronic pain, with stronger synthetic drugs such as fentanyl available on prescription for the most extreme discomfort. These drugs are designed to interact with opioid receptors in the opioid system. The pain relief from these drugs is substantial, however sustained use leads to increased tolerance, stronger doses and addiction. However, CBD may be helpful for chronic patients, and also those who have ended up dependent on opioids, as the cannabinoid seems to exhibit anti-addiction properties by interfering with pleasure-reward mechanisms. By elevating concentrations of anandamide in the body, CBD is promoting a neurotransmitter that works to ease both physical and mental pain. How CBD tackles addiction is less clear, but some evidence indicates that CBD is active in the opioid system. Not all pain is the same – for example, some chronic pain is persistent and always at a similar intensity, whereas the worst effects of inflammatory and neuropathic pain tend to come from flare-ups. For internal neuropathic pain, CBD vape oil and e-liquid treatment is ideal, because the relief comes very quickly. Meanwhile, lingering pain is economically and perhaps more efficiently managed by orally-consumed CBD products (e.g. capsules, edibles, coffee). Experimenting with gels, creams and balms infused with cannabis or CBD is a novel method of coping with localized pain. These ensure that the cannabinoid receptors in the affected area are directly activated. 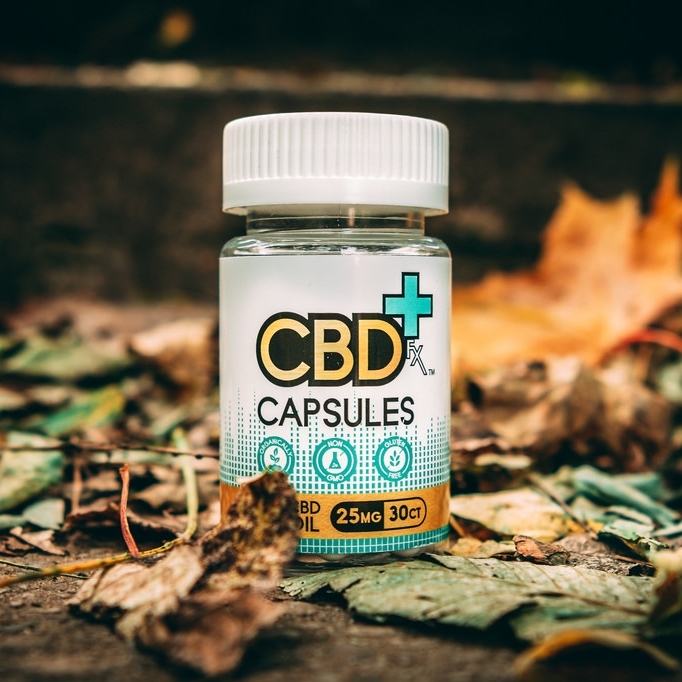 CBD: the new anti-inflammatory drug? Immune system response is still not well that understood, and this has made it difficult to control. Researchers have struggled to find ways of influencing inflammation, but studies into the endocannabinoid system have found that immune system response is accessible via cannabinoid receptor 2 (CB2). Endocannabinoids look to signal a stoppage in inflammation, after a wound has fully healed or an infection is neutralized. This discovery may be crucial, as the current leading class of anti-inflammatories (non-steroidal anti-inflammatory drugs, or NSAIDs) are known to cause concerning side effects, including stomach ulcers. The best CBD product for inflammation depends, unsurprisingly on the type of inflammation. Internal conditions like irritable bowel syndrome (IBS), which could be exacerbated by endocannabinoid deficiency, respond well to both CBD vape juice and CBD edibles, or even tincture oils. For osteoarthritis, a form of inflammation which affects the joints, CBD creams and other topicals are likely to produce better results. Cannabinoid research is providing genuine hope for antidepressant researchers, after decades of stagnation in medication development. The current situation with depression medicine is far from ideal, with selective serotonin reuptake inhibitors (SSRIs) slow to show benefits – for up to 40 percent of patients, these drugs may not even work at all. And then there are the side effects to contend with, which range from drowsiness to impotence. Depersonalization and derealization have also been anecdotally reported with SSRIs. However, a glut of promising studies on CBD and the brain have found that the ECS could be important in correcting off-balance brain chemistry. The CB1 receptor modulates many variables, mood being one, and the bond between anandamide and this receptor is important for good mental wellbeing. Factors outside of the ECS also affect mood, but the potency of anandamide as an antidepressant makes the link with the CB1 receptor an essential one. Some of the most exciting research on cannabinoids has been on their neuroprotective and neurogenesis properties. Studies on the hippocampus and the prefrontal cortex and cannabinoid treatments, which are associated with depression, have demonstrated that CBD is able to repair these regions of the brain, by restoring neuronal circuitry and helping to form new brain cells. A 2018 study on rats carried out in Brazil showed that CBD was effective from the first treatment and for up to seven days after the last dose at blocking synaptic proteins which damage neuronal circuitry in the prefrontal cortex. Meanwhile, CBD-initiated neurogenesis in the hippocampus helps to regrow the brains of adult rats with depression. These results have not yet been replicated in humans, but rats are used for such studies because their brains are similar to humans. General memories and our autobiographical memory are stored in the hippocampus. The only CBD products that aren’t suitable for managing depression are topicals, as the cannabinoids remain in the skin, and do not reach the brain. This entry was posted in Uncategorized and tagged 360, 360 Magazine, Africa, anandamide, antidepressant, antidepressant researchers, asia, Atrin Yazdani-Biuki, autobiographical memory, brain, brain cells, brazil, Cannabinoid research, cannabinoid treatments, cannabinoids, CB1 receptor, CBD, CBD creams, CBD edibles, CBD products, CBD vape juice, CBD-initiated neurogenesis, CDC, Centers for Disease Control and Prevention, chemistry, depression, depression medicine, drugs, ECS, endocannabinoid deficiency, good mental wellbeing, hemp, hippocampus, IBS, Illness, inflammation, irritable bowel syndrome, medication, Medicine, memories, neuronal circuitry, non-steroidal anti-inflammatory drugs, NSAIDs, Opioid-based painkillers, opioids, osteoarthritis, pain relief, prefrontal cortex, prescription drugs, rats, Research, side effects, skin, SSRIs, synaptic proteins, tetrahydrocannabinol, THC, tincture oils, topicals, Tramadol, Vaughn Lowery on September 13, 2018 by wp360mag. Today, New Era Cap Co. Inc. announces the launch of its first ever collaboration with classic American sportswear brand, Nautica®. Anchoring the New Era X Nautica Collections are limited-edition “one of one” hats created from deconstructed vintage Nautica jackets. Each hat is unique and features elements from the jacket including patches, labels, pockets and hardware. As part of the collaboration, more extensive collections will be created featuring bold graphics inspired by Nautica’s classic Hydro Race, Scuba, and Color Block Jackets. The New Era X Nautica Collections launch on August 24, 2018, featuring iconic silhouettes inspired by Nautica’s most popular jackets – Hydro Race, Scuba, and Color Block. 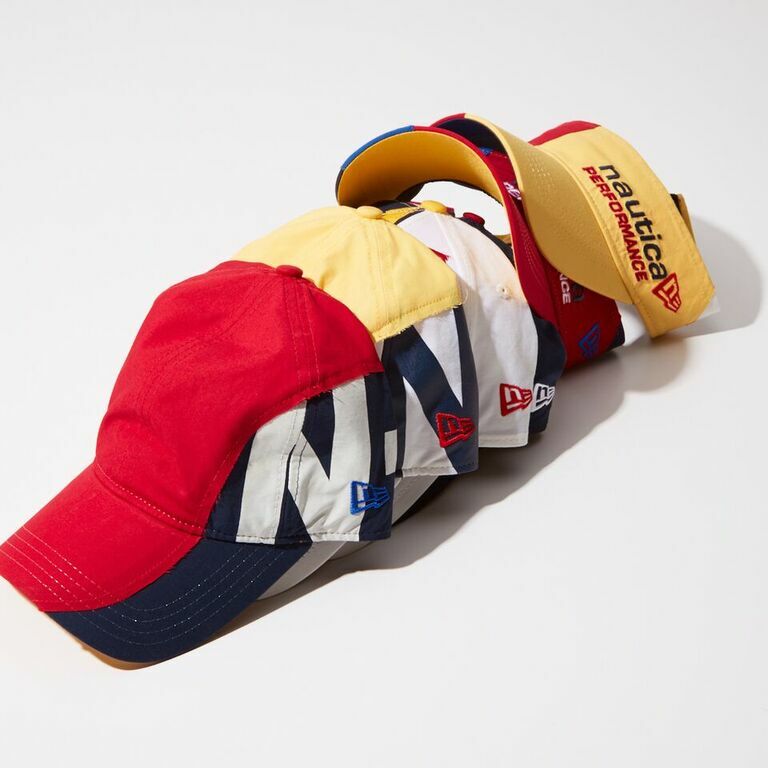 New Era X Nautica Hydro Race Collection – Primary colors, racing stripes and the Nautica “Hydro Race” logo are featured on the classic fitted 59FIFTY cap and New Era adjustable styles 9FORTY, 9 TWENTY and Visor. Hats in the collection range from $40-$75 and will be available exclusively atnautica.com. New Era X Nautica Scuba Collection – Featuring the famous diver from Nautica’s 90’s garments, these hats come in turquoise, yellow, orange and blue colorways in New Era adjustable styles 9FORTY, 9TWENTY and Runner and the classic fitted 59FIFTY cap. Hats in the collection range from $40 to $75 and will be available exclusively atneweracap.com. New Era Cap Co. Inc. is an international lifestyle brand with an authentic sports heritage that dates back over 90 years. Best known for being the official on-field cap for Major League Baseball and the National Football League, New Era Cap is the brand of choice not only for its headwear collection, but also for its accessories and apparel lines for men, women and youth. The brand is worn as a symbol of self-expression by athletes, artists and some of the most interesting people around the globe. New Era Cap encourages people to truly express their personal style and individuality through its products. The Company is headquartered in Buffalo, NY and operates facilities in Canada, Europe, Brazil, Japan, and Hong Kong. 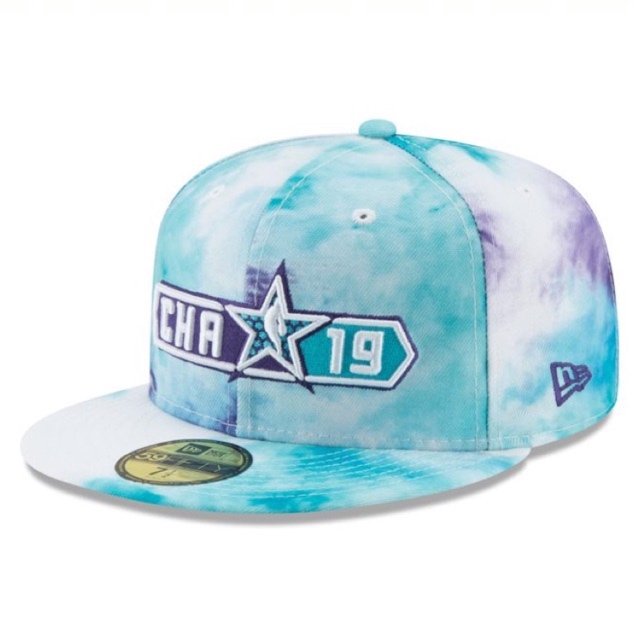 For more information, visitwww.neweracap.com. Founded in 1983, Nautica® is a leading global lifestyle brand ranging from men’s, women’s and children’s apparel and accessories to a complete home collection. Nautica offers classic nautical style for all occasions. Today, Nautica is one of the most recognized American brands throughout the world, available in more than 65 countries with over 360 Nautica stores globally and 1421 Nautica branded shop-in-shops worldwide. Authentic Brands Group (ABG) is a brand development, marketing, and entertainment company, and the owner of the Estate of Marilyn Monroe. Headquartered in New York City, ABG manages, elevates, and builds the long-term value of more than 33 consumer brands by partnering with best-in-class manufacturers, wholesalers, and retailers. Our brands have a global retail footprint in more than 50,000 points of sale across the luxury, specialty, department store, mid-tier, mass, and e-commerce channels and more than 4,398 branded freestanding stores and shop-in-shops around the world. ABG is committed to transforming brands by delivering compelling product, content, business, and immersive brand experiences. We create and activate original marketing strategies to drive the success of our brands across all consumer touchpoints, platforms, and emerging media. ABG’s global portfolio of iconic and world-renowned brands includes Marilyn Monroe®,Mini Marilyn®, Elvis Presley®, Muhammad Ali®, Shaquille O’Neal®, Dr. J®, Greg Norman®, Neil Lane®, Thalia®, Michael Jackson® (managed brand), Nautica®, Aéropostale®, Juicy Couture®, Jones New York®, Herve Leger®, Judith Leiber®, Frederick’s of Hollywood®, Nine West®, Frye®, Adrienne Vittadini®, Taryn Rose®, Bandolino®, Misook®, Hickey Freeman®, Hart Schaffner Marx®, Spyder®, Tretorn®, Tapout®, Prince®, Airwalk®, Vision Street Wear®, Above The Rim®, and Hind®. For more information visit ABG-NYC.com. 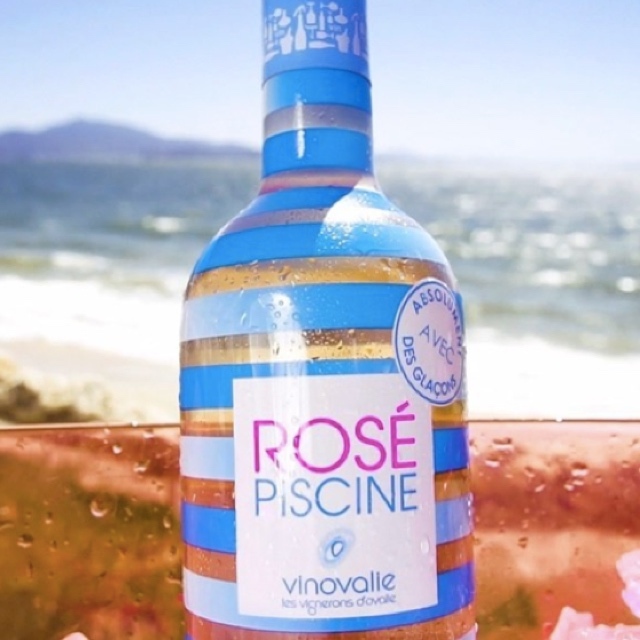 This entry was posted in Uncategorized and tagged 360, 360 Magazine, ABG, Above The Rim, Adrienne Vittadini, Aéropostale, Airwalk, Atrin Yazdani-Biuki, Authentic Brands Group, Bandolino, brand, brazil, Buffalo, Canada, department store, Dr. J, e-commerce, Elvis Presley, europe, Frederick's of Hollywood, Frye, Greg Norman, Hart Schaffner Marx, Herve Leger, Hickey Freeman, Hind, Hong Kong, Japan, Jones New York, Judith Leiber, Juicy Couture, luxury, Marilyn Monroe, Michael Jackson, Mini Marilyn, Misook, Muhammad Ali, Nautica, Neil Lane, New Era Cap Co. Inc., new york city, Nine West, ny, portfolio, Prince, retailers, Shaquille O'Neal, shops, Spyder, stores, Tapout, Taryn Rose, Thalia, tretorn, Vaughn Lowery, Vision Street Wear on August 8, 2018 by wp360mag. 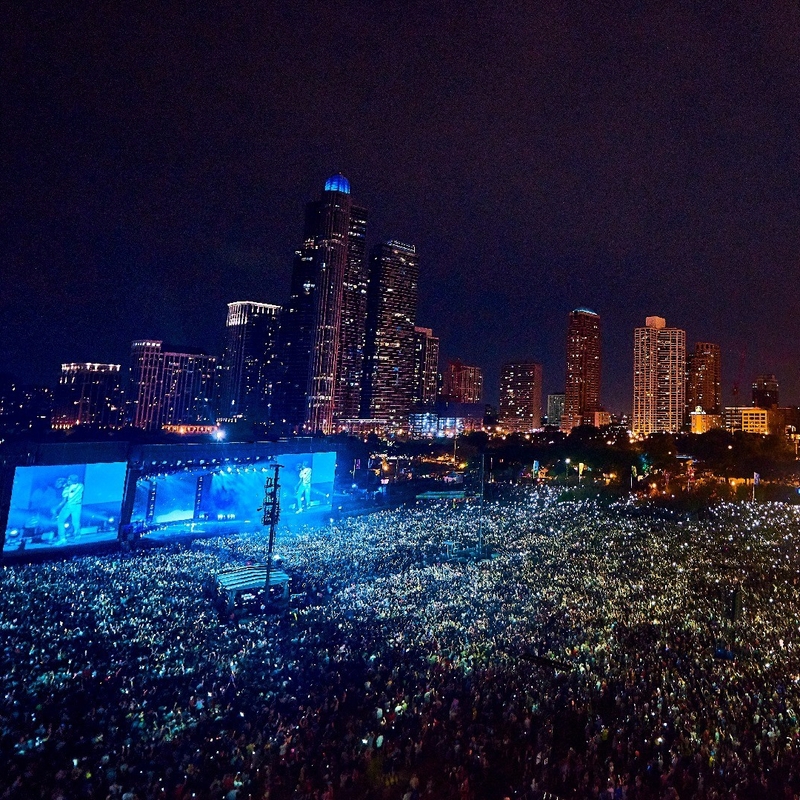 BMI (Broadcast Music, Inc.), the global leader in music rights management, is thrilled to announce the lineup for this year’s BMI Stage at Lollapalooza. From August 2nd – August 5th, 24 sensational artists on-the-rise will make their mark on the legendary stage, continuing its reputation for showcasing the industry’s future superstars. 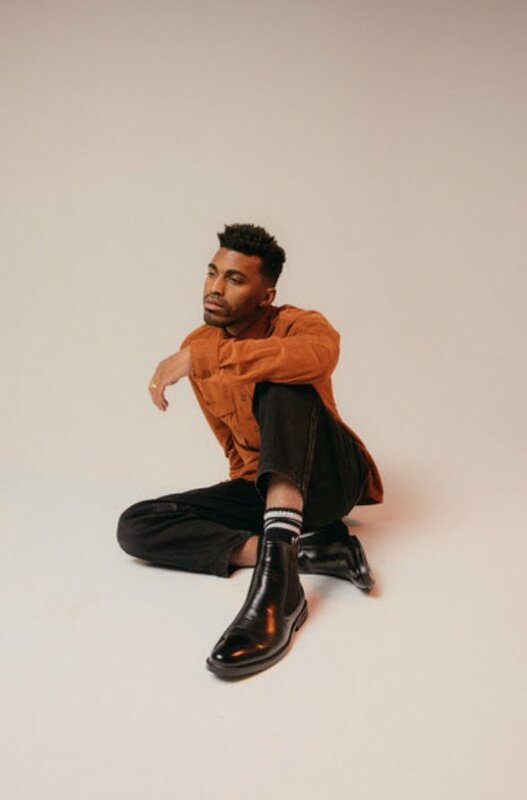 This year’s roster features an eclectic offering of musical acts ranging from emerging pop songstress Madison Beer and R&B sensation R.LUM.R, to the electronic lullabies of Vera Blue and the ever-evolving sound of John Splithoff. 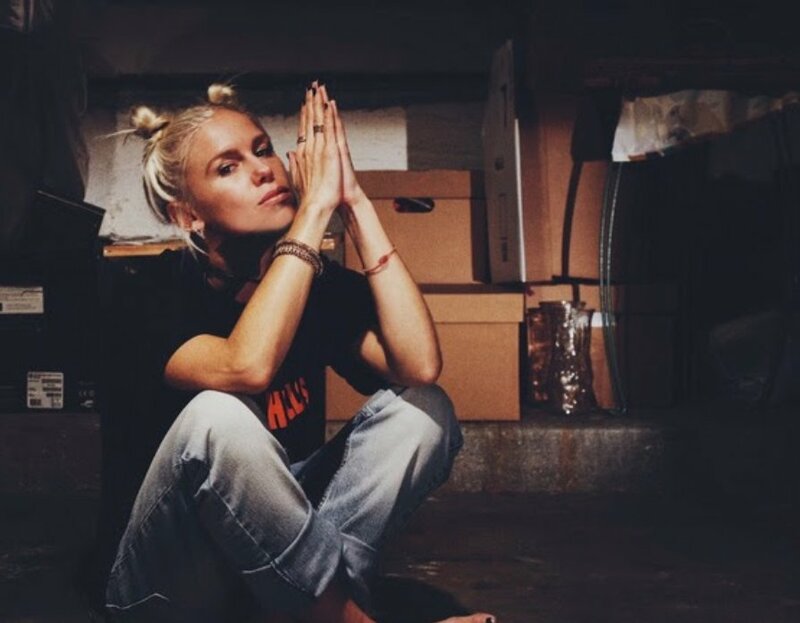 Fan favorites such as Halsey, Bebe Rexha, Lady Gaga, Chance the Rapper, X Ambassadors, Cage the Elephant, A R I Z O N A, and more have all played BMI Stage before finding fame. Known as the place for music discovery and star-making sets, this year’s stage is no exception. For more information on the BMI Stage, please visit,www.bmi.com/lollapalooza and follow @BMI on Twitter for updates on your favorite acts. To join the conversation, use #BMILolla. 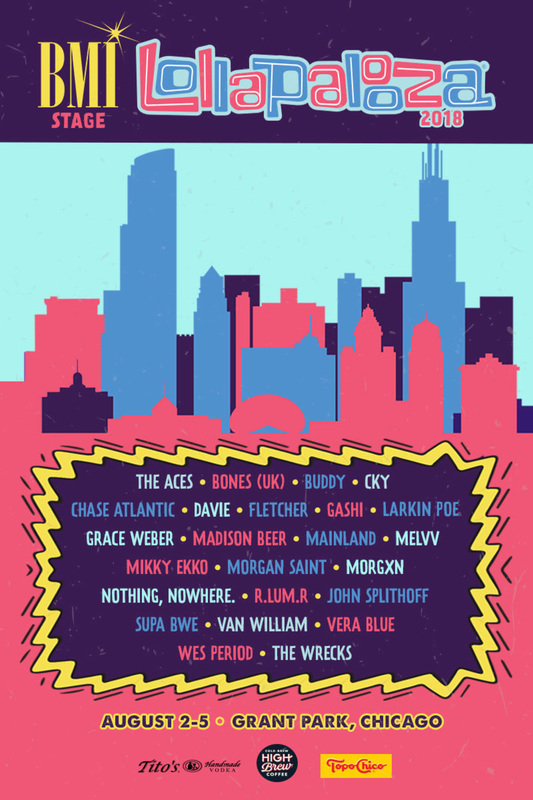 BMI is proud to present and sponsor stages at C3 Presents’ music festivals: Lollapalooza and Austin City Limits Music Festival (October 5 – October 7 and October 12 – 14). BMI’s partnership with these elite festivals is designed to offer more prime showcasing opportunities to its songwriters, a distinct priority of the organization. For more information on Lollapalooza, please visit www.lollapalooza.com; for information on the Austin City Limits Music Festival, visit www.aclfestival.com. This entry was posted in Uncategorized and tagged 360 Magazine, A R I Z O N A, American, Argentina, artists, Atrin Yazdani-Biuki, Austin City Limits Music Festival, Bebe Rexha, blues, BMI, BMI’s The Weekly™, BONES (UK), brazil, Broadcast Music, Buddy, Cage the Elephant, chance the rapper, Chase Atlantic, Chicago, Chile, CKY, composers, composition, country, DAVIE, event, fans, festival, FLETCHER, France, fun, Gashi, Germany, Global Society, Grace Weber, Halsey, Inc., jazz, John Splithoff, lady Gaga, Larkin Poe, Lollapalooza, Madison beer, Mainland, Melvv, Mikky Ekko, Morgan Saint, Morgxn, music, music publishers, musical, New York, news, nothing, nowhere., party, Perry Farrell, pop culture, R.LUM.R, Samantha Cox, songs, songwriters, Supa Bwe, The Aces, The Wrecks, travel, United States, Van William, Vaughn Lowery, Vera Blue, Wes Period, William Morris Endeavor Entertainment, x ambassadors on July 10, 2018 by wp360mag.